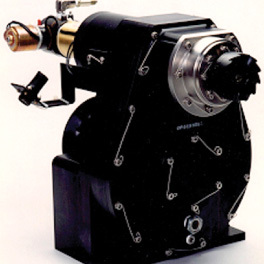 T he 129-8000-1 Starter Drive Assembly provides a rotational force for starting the F100-PW-100, F100-PW-220E, F100-PW-229 series aircraft engines by compressed air. It is a form, fit, and function replacement for the 103-3018-1 Drive Assembly. It is mounted to the gearbox batwing on ground-based thrust stands, and on the bellmouth mount assembly for overhead thrust stands. 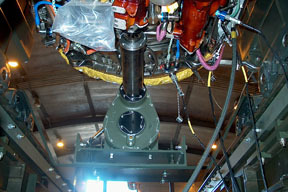 The sliding shaft and jaw in the starter gearbox, included in the starter drive assembly, engages a mating jaw installed on the engine. 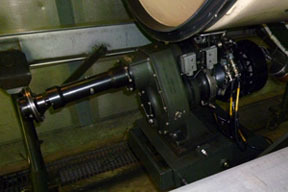 The sliding shaft is engaged by the application of air pressure to one side of the actuator; disengagement is accomplished by switching air pressure to the reverse side of the actuator to retract the sliding shaft and jaw. 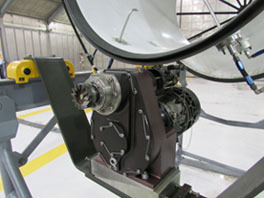 A government-furnished (GFE) air turbine supplies rotational power to the gearbox. 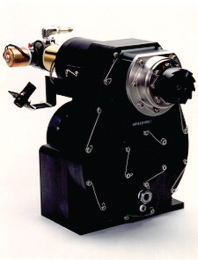 This state of the art air starter is now the recognized preferred replacement equipment for the USAF. Atec has improved our production process to include in process torquing and pre-shipment spin up testing. Mated to our improved coupling, Atec now provides the full solution to no-slip, no-bind air starts.